When Google Ads retired the much loved feature, appsformobileapps.com last year that let you easily block all of your ads from showing on mobile apps, life got a lot more complicated for advertisers using the display network and trying to get their ads off of apps. The reason most people want their ads off of apps is that apps rarely do well for advertisers. Just look at this account, there’s an app game with a 2.05% CTR. That’s a huge display CTR, and we’re pretty sure most of those clicks are accidental game clicks. After more than 82,000 clicks, this account has 6 total app conversions. There are 66% more non-app clicks than app clicks and 730% more conversions. That means we want to remove our ads from showing on apps. There are 3 primary ways you can exclude placements in your account. If you navigate to your placement data and click over to Where Ads Showed, you will see your data by where your ads were displayed. That method only helps you block apps once you’ve appeared on them. While this step will be necessary, it’s not your best option to start blocking lots of apps. The second option is to navigate to the Placement Exclusions lists, which is found under tools. From here you can create a list of all the app categories and then apply it to every campaign. This method works well if you always remember to apply it to a campaign. Just remember, there’s another step to any of these processes as just removing yourself from all the app categories doesn’t actually block every app. However, if you create a new display campaign and forget to apply this list – the app clicks will come flooding back into your account. The best place to start is to navigate to the Exclusions tab found under placements. Then chose to exclude from ‘Account’. 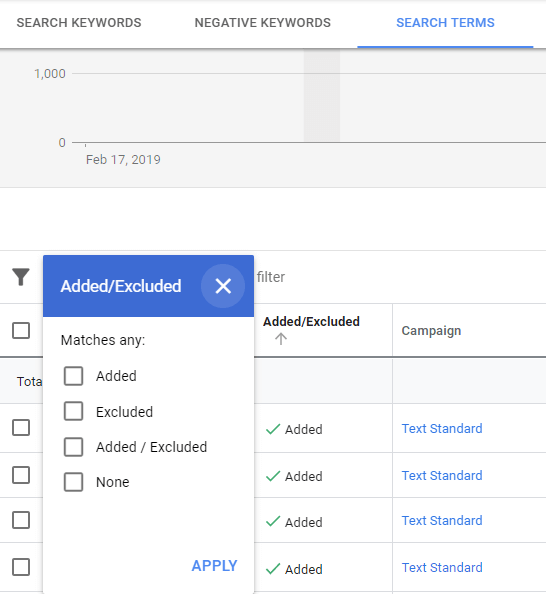 As you add exclusions, they will be added at the account level, so as you add more campaigns these categories will still be blocked in your new campaigns. Account level app blocking is one of the best, underused, features in all of Google Ads and really should be your starting place for getting rid of app clicks. However, there is still a problem. We chose apps where we had impressions, and yet Google states these are invalid parameters, so Google doesn’t easily give you the options to exclude some of these non-category apps. This same feature does not exist for placements. Search for those placements where you add exclusions. See if it’s listed, and if it is, block the app. You can try to copy and bulk add them to the placement list, but we find that almost always gives us errors as well. If the app is not listed or you can’t find it (some are named very tricky things to make this process difficult), then you cannot block that app. It appears that when this happens if you wait a week or two and try again, then you can usually (but not always) block the app. There might be some database conversation delay happening between Google Ad and the Google App Store that’s causing this issue. We haven’t been able to find a good answer to this yet. If you look at your placement data and find that apps aren’t doing well for you, then the best place to start blocking them is at the account level using the exclusions feature found under the placement. Once that is done, it is easy to then create a filter for app placements in your Where Ads Showed screen so you can quickly run the filter, select all, and keep blocking all of these apps. This is a lot of work to replace a single line of blocking adsenseformobileapps.com to your placement list, but if you value your performance, this is generally a good exercise to go through for your account. 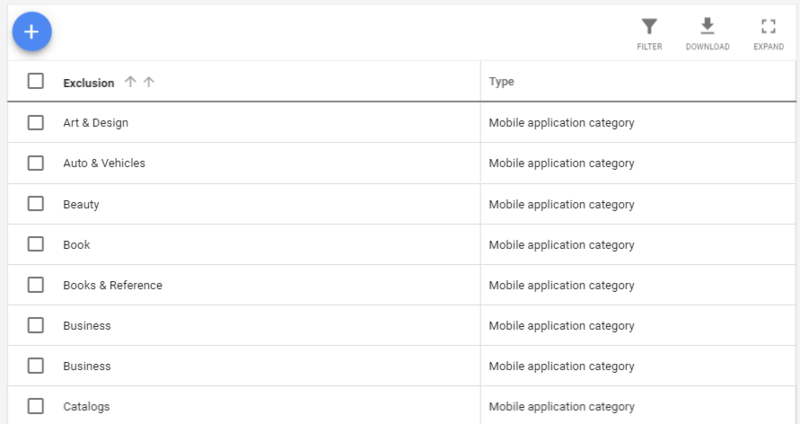 This might seem simplistic, but if you don’t want to show for Mobile Apps, isn’t the quickest way to do this to add “All apps” in the Mobile app categories, (Negative) against every GDN campaign in your account via Google Ads Editor? The only caveat I’ve seen is that you can’t exclude mobile apps from Smart Display campaigns, so hopefully Google do a better job of making them work than everyone else seems to.